Mr. Archambault, born in 1867, commenced to collect in 1890. 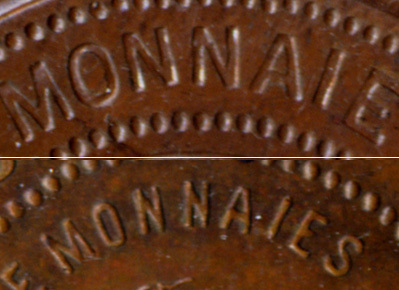 In 1892 he ordered the token, but as there were two mistakes in spelling the word "monnaie", which was written with only one " N," only twelve were struck, after which the dies were turned down. 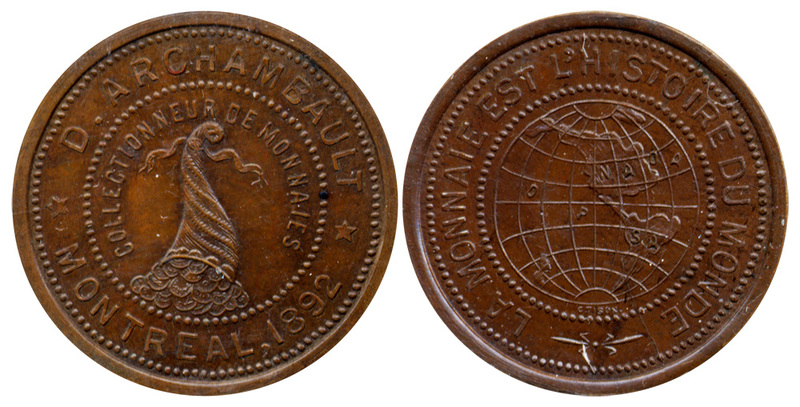 The next token, rectifying the mistake, was issued the same year.